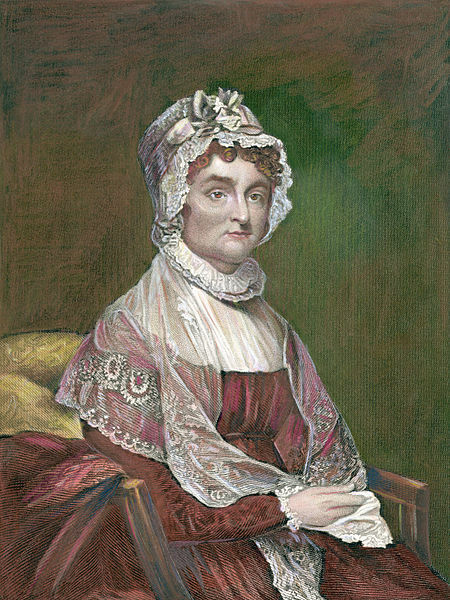 While Abigail Adams is famous for being the second first lady, her role in the American Revolutionary War was much more pivotal. She was married to John Adams, who was the second president of the United States, and a political adviser to him. Abigail was very pro-independence and for women’s rights, which heavily played in her part in the war. Abigail’s family and marriage is a large reason why she became involved in the battle. Her father, John Quincy, was a member colonial Governor’s council and colonel of the militia. She became the wife of John Adams, and they had five children, including John Quincy Adams who became the sixth president of the United States. Her marriage threw her into the life of politicians, and the revolution. Adams was very involved in the government with John Adams during the Revolutionary War. She and John Adams shared letters frequently, as he was away on business most of the time, and she became a political adviser to him. She campaigned for women’s rights and the end of slavery, which was very important at the time because the Patriots were battling for independence, but no one was fighting for these minorities. Events would have unfolded in a drastically different manner had Abigail Adams not been there. Adams is responsible for the forward of women’s rights and if she had not campaigned as hard or at all, the issue would not have been brought up for quite some time. Eventually the women would start to rebel because they were not being fought for. There is also a high chance John Adams would not be inaugurated into office because Abigail was his aid and support. The Revolutionary War would continue on, but the era would be missing an important and vital addition. Abigail Adams was a very persistent women. Through her marriage and political advisement to John Adams, she accomplished a lot for women and slaves, by making people know the treatment of those groups were wrong. When she put her mind to something, there was no changing it, which was a very helpful trait during the time of the American Revolution. It's a strong indictment of the white patriarchal society of the day that women and ethnic minorities were not considered fit to have political rights during that era or for several generations thereafter. One wonders how they could then in all honesty say "We hold these truths to be self evident, that all men are created equal and are endowed with certain inalienable rights..." and not be called hypocritical for owning slaves, using indentured servants, and subjugating women just as they did when they were still in the British colonies. Mrs. Adams was a woman ahead of her time. Truely it can be said of her, "The hand that rocks the cradle is the hand that rules the world." Good blog C.